Her campaign slogan in 1921, just one year after women were granted the right to vote, was “I will clean up Duluth and rid it of demon rum.” She had been compelled into the race for mayor of Duluth, Georgia that year, having been a strong advocate for women’s suffrage in the years leading up to the amendment’s passage, and as an active participant in her city’s civic affairs. She would win and become the first female mayor ever elected in the state of Georgia. On November 10, 1881, Alice married her cousin Henry Strickland, Jr., a Duluth lawyer and businessman. In the early 1800’s the town was named Howell’s Cross Roads for early settler Evan Howell. This was also the time when the Stricklands, among others, moved to the area. Howell ran a plantation and cotton gin and became the town’s first successful merchant. Years later his grandson Evan P. Howell encouraged the construction of a railroad system that would stretch to Duluth, Minnesota. After Congress approved the financing, the town was renamed Duluth. By the 1880’s Duluth had become a hub for the cotton industry and was also, unfortunately, known for drunken brawls and knife fights. The Methodist Church had been founded in 1871 and Alice joined the church and the Duluth Civic Club. She and Henry had seven children: Henry, Jr., Newton Harrell, Glenn Beauregard, Anna May, Susan, Charles Edward and Ellyne Elizabeth. All their children attended college and “showed signs of their mother’s pioneering spirit and courage,” according to Georgia Women of Achievement. 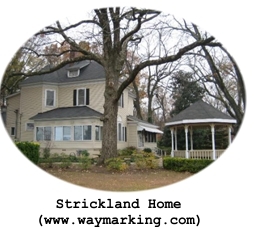 In 1898 the Stricklands built a three-story home for their large family. Throughout the late nineteenth century and into the early 1900’s Alice remained active in civic affairs as a member of the Duluth Civic Club. Henry died at the age of 55 following an extended illness of several months. After returning from an operation he underwent in Baltimore, he suddenly passed away on June 4, 1915. Alice had never attended college and had remained at home raising her children throughout the years of their marriage. At the time of Henry’s death, two of their children, Charles and Ellyne, remained at home. Charles and Newton later served in World War I — Charles as a private in the 464th Engineers and Newton as an Army captain (promoted to major), both returning to Georgia in 1919. Undeterred by her lack of professional skills, Alice immersed herself further in civic affairs. During her tenure as president of the Duluth Civic Club, she opened the second floor of her home as a clinic where children were treated for whooping cough, diphtheria and surgically for tonsillitis. She was considered a “progressive” who was also an ardent conservationist. At one point, Alice challenged the power company who came to erect power lines across her land. “With a shotgun in her hands, she blocked the way of power company workers, keeping them from placing lines across her land.” (Georgia Women of Achievement) She later donated a portion of her land for the purposes of preservation and recreation to the town of Duluth. 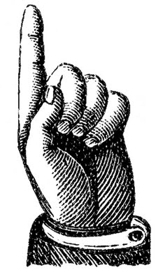 Although the amendment’s defeat was a narrow one in the legislature, Georgia politicians boasted about being the first state to reject it. However, it was for naught because the 19th Amendment passed nationally and women were granted the right to vote in 1920. Alice Strickland must have seen this as her opportunity to make a difference and contribute even more to her community. 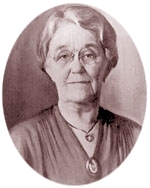 In 1921, at the age of sixty-two, she decided to run for mayor of Duluth. According to Georgia Women of Achievement, she campaigned in a politically hostile environment, yet won the election. She made history as the first female mayor ever elected in the state of Georgia. She was fearless but fair and “could not be hoodwinked in the execution of her duties.” (Forsyth County: History Stories, p. 77). True to her campaign promises, she pursued and prosecuted bootleggers in an effort to clean up her community and improve its reputation. 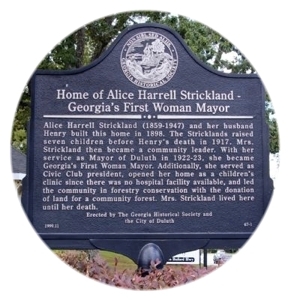 After her term as mayor , Alice continued to live in her family home until her death on September 8, 1947. Over a century after its construction, the home was placed on the Georgia Register of Historical Places in 1999. In 2002, Alice Harrell Strickland was designated as a Georgia Woman of Achievement – feisty like another Georgian female of note and recently profiled here, Nancy Morgan Hart. Ninety-seven years and one day ago, on August 28, 1917, women suffragists and activists picketed President Woodrow Wilson, demanding the right to vote. Three years later, on August 26, 1920, their demands were met when the 19th Amendment was ratified by a majority of states.